Wintry hues dress the adidas Falcon Black Purple for an essential seasonal look. 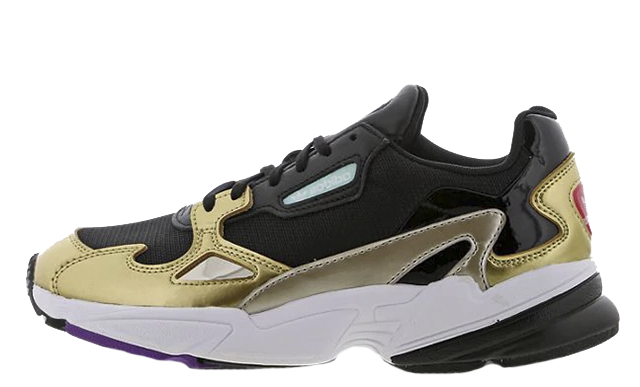 Cosy black mesh dresses the upper in classic Falcon style, with different shades utilised to create a layered look throughout. Accented with purple leather and soft suede on the sidewalls, a colour blocked aesthetic brings retro vibes. 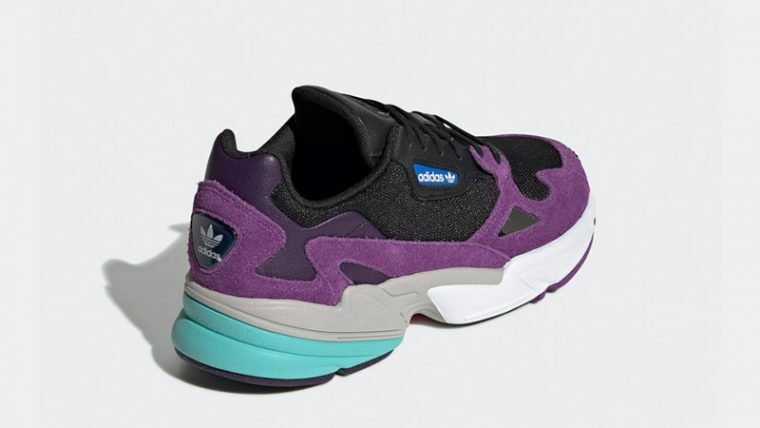 adidas’ vintage Trefoil branding appears on the heel and tongue in classic blue, while grey and aqua hues stand out around the heel, emphasising the midsole’s wavy design. 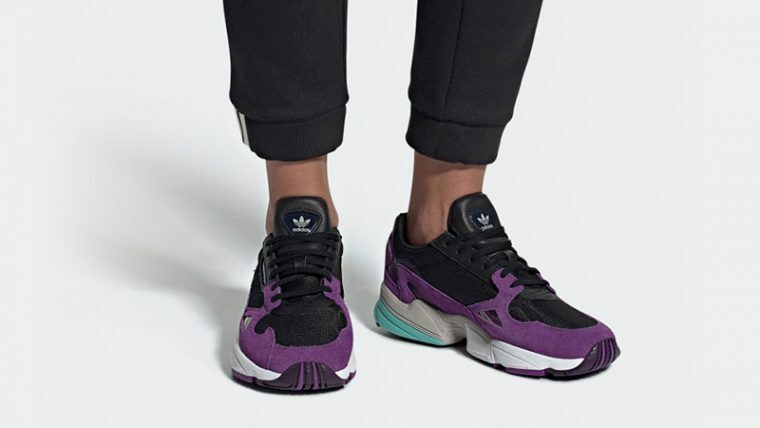 To complete the shoe, adidas’ iconic mirrored panel can be seen towards the front of the design in matching black, setting this chunky sneaker apart from the rest. 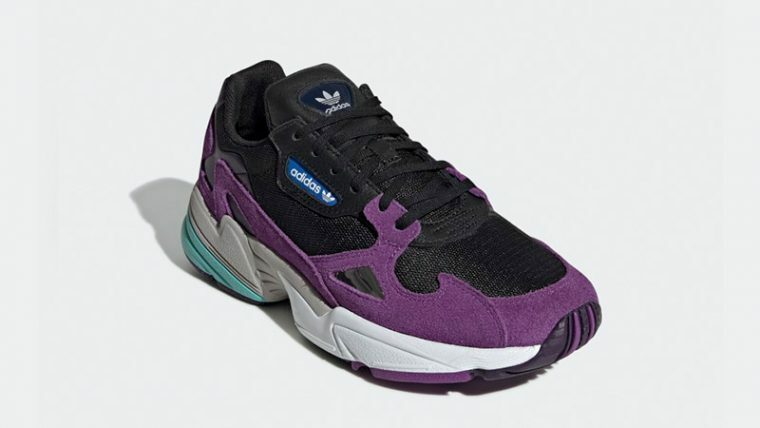 If you’re a fan of the dad shoe trend, look no further than the adidas Falcon Black Purple to bring a fashion-forward touch to your wardrobe this season. The adidas Falcon Black Purple is available to buy now via the stockists listed on this page. 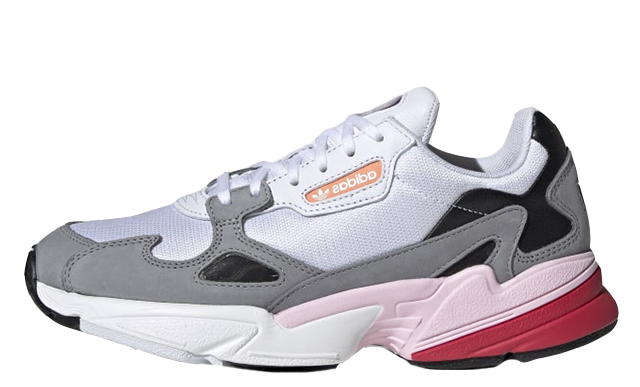 If you’re loving the Falcon as much as we are, be sure to keep it locked to our website and social media pages for the latest colourways and updates throughout the year. 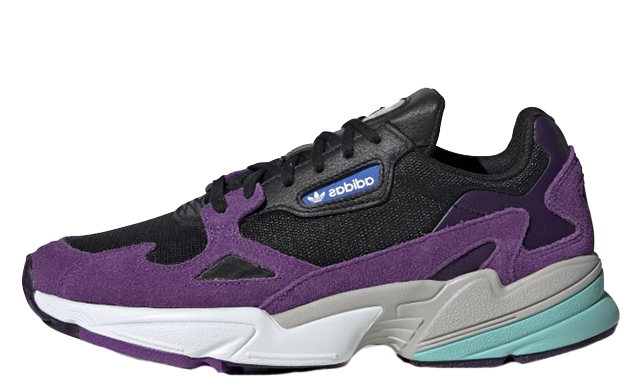 You can find more Women's Adidas Falcon Trainers Release Dates here!